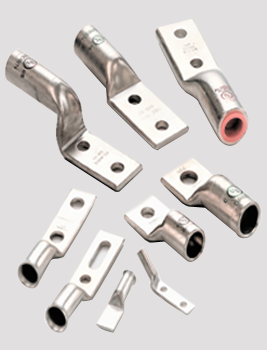 Cable lugs, also referred to as Cable terminal ends or cable shoes are electrical supplies utilized to securely connect or terminate cables to electrical devices, power or control panels, junction boxes, equipment’s and machineries. These lugs are often used to join power cables together as well. Cable Lugs intended to ensure the safety of both the appliances and human beings. 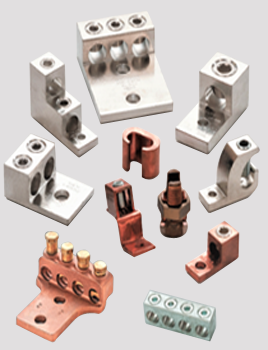 These lugs can be uniquely engineered according to the client’s preferences and requirements.Copper lugs are utilized widely for numerous functionality; they are often used to decrease the diameter of a thick cable for it to be able to attach the cable to the other end that are of small diameters. Electro –tin plated for low contact resistance and protection against corrosion when used with copper wire.